There are many people, including mainstream Western scientists, who have pointed out numerous highly strange and irregular things about the moon. A few years ago David Icke brought the book 'Who Built The Moon?' by Chris Knight and Alan Butler to attention, and concluded that the moon is an unnatural object that has been placed there for some reason - possibly as a broadcasting station. Icke further linked the moon to Saturn, and theorized that the "Matrix" in which we live is actually a program originally broadcast by Saturn and amplified by the moon. So it is worth reading if you want a more detailed version of what the Moon is. 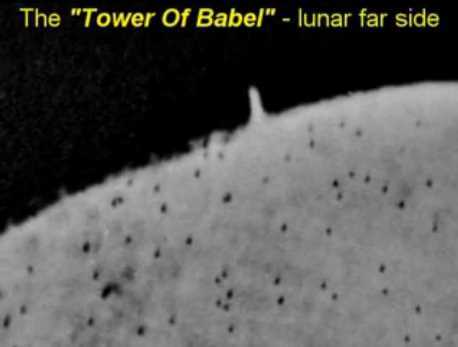 A man going by the name of Crrow777 has filmed some astonishing footage of the moon in the video below. He caught something which he dubbed the "lunar wave" going across the surface of the moon, from bottom to top as it appeared on his camera. This lunar wave has the appearance of a line that moves across a computer screen during a reset. It looks digital, electronic or holographic. Yet, how could that possibly be true if the moon were just a natural satellite of Earth, made from rock? Of course, many skeptics and naysayers have criticized his findings and claimed the lunar wave must be a result of his recording equipment, and not local to the moon itself. However, as Crrow shows in the video, by adjusting various layers, colors and lighting, you can see that the wave actually occurred on or above the moon's surface, and has nothing to do with his camera. 2.The moon itself is holographic. It has no solid physical existence, but is rather a projection of light, a hologram made to look 3-dimensional. 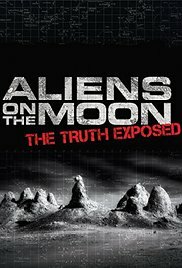 This smuggled Project Blue Book film(below) reveals definitive proof of alien on Moon. 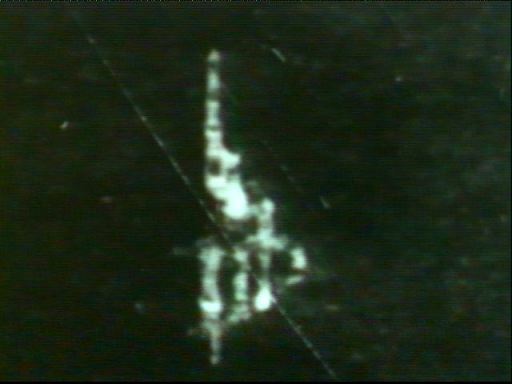 Shot during 2 minute radio silence period of Apollo 11 mission. Neil Armstrong and Edwin “Buzz” Aldrin witnessed this incident shortly after landing Apollo 11 on the moon. At the time this happened, the live television broadcast was interrupted for two minutes due to a claimed “overheated camera”. 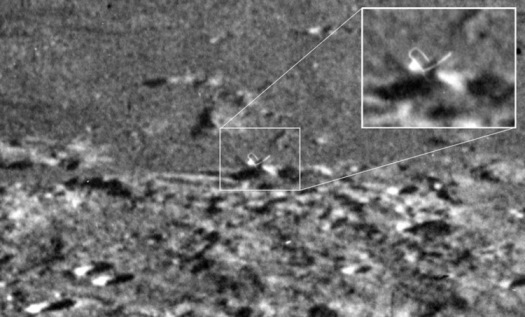 Below the 5 most mysterious photos caught by NASA on the moon. Thirteen “orbs” erupt from the Moon. 600D I spotted 13 orbs probably starting from a secret alien moonbase. Astronaut Scott Carpenter. “At no time when the astronauts were in space were they alone. There was a constant surveillance by UFOs"
he was only the second American astronaut to circle the Earth. According to the American ufologist Vladimir Azhazha, “Buzz Aldrin said to Mission Control that two large unknown objects were watching him and Aldrin after landing on the moon. But this message was never heard by the public, because NASA censored it. “But a 2006 video interview made astronaut Buzz Aldrin, it is analyzed the footage of the meeting between the Apollo 11:02 UFO. This was just one of many “encounters” with aliens, duration the journey to the moon. UFO filmed crossing over the moon for 1 minute. Astronauts Frank Borman and Astronaut James Lovell. was seeing was their own booster rocket. publicly released), the transcript is public. had almost nothing to say about it at all. Why? average person, that trips them up the most, is one face of the Moon is always towards the Earth. Dark Side of the Moon album, which was such a hit at one time. permanently wrapped in night, as it were. All sides of the Moon get sunlight, just as the Earth does. fourteen of our days in length. One full day on the Moon is about twenty-eight days here on Earth. Roughly this is the equivalent of one month (one “moonth” as it was once known). the Moon waxing (becoming full), and waning (reducing to a new Moon). “mysteries” we wish to discuss later on, one concerning the thickness of the crust there. us having no knowledge of it. should be at least long-extinct ones if the Moon ever had a molten core. Also, how do we account for the Moon’s relatively young age compared to that of the Earth? them really seems to make any sense yet. Something is definitely wrong with the theory if this is so. Fact 3 : Hollow Moon? "The moon's mean density is 3.34 gm/cm3 (3.34 times an equal volume of water) whereas the Earth's is 5.5. What does this mean? "the Lunar Orbiter experiments vastly improved our knowledge of the moon's gravitational field… indicating the frightening possibility that the moon might be hollow." vibrate, but not like this! well be no lunar core at all. Considering the Earth's size and magnetic field, it is quite unlikely to have a satellite at all, but if it were to have one, we could expect it to be something in the vicinity of 30 miles round. For instance, Mars' 2 moons, Phobos and Deimos, have diameters of 13 and 4 miles respectively. Yet, the Moon's diameter is around 2160 miles - bigger than Pluto - and more than 1/4 of the Earth's diameter! The Moon's diameter is 400 times smaller than that of the Sun, and is 400 times closer to the Earth than the Sun - meaning the Moon neatly and exactly blocks out the Sun during a solar eclipse! The Moon blocks the Sun's disk so precisely during a solar eclipse that the Sun's corona can be studied, without which much of Einstein's work would not have been confirmed. 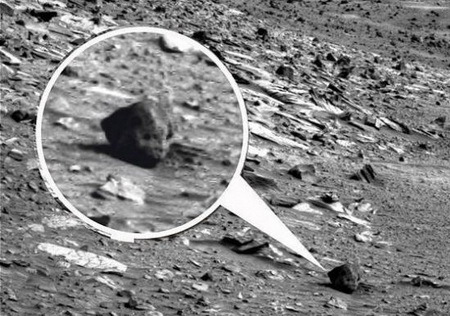 Isaac Asimov described this as being "the most unlikely of coincidences". A one second arc of the Moon's rotation is exactly equal to 100 megalithic yards. Coincidence? are elliptical, being sort of a slightly squashed circle in shape. by our solar system’s standards, but it’s even strange for any other solar system, as well, apparently. Why is this so? Again, there are many theories, but none seem to adequately explain it well. There are flaws, big ones, inherent in all of them. is on the far side of the Moon. "It is important to remember that something had to put the moon at or near its present circular pattern around the earth. Just as an Apollo spacecraft circling the Earth every ninety minutes, while one hundred and sixty kilometers high, has to have a velocity of roughly twenty-nine thousand kilometers per hour to stay in orbit, so something has to give the moon the precisely required velocity for its weight and altitude. The point - and it is one seldom noted in considering the origin of the moon - is that it is extremely unlikely that any object would just stumble into the right combination of factors required to stay in orbit. ‘Something' had to put the moon at its altitude, on its course and at its speed. The question is: what was that something?" 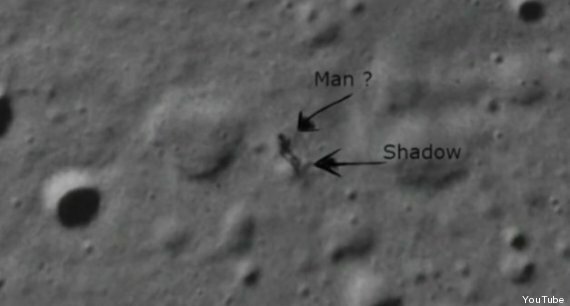 What do all these moon anomalies real tell us about the object we call Luna? In short, the moon violates so many known laws of physics and so many expectations of what is normal, that it is easier to explain the non-existence of the moon than its existence. "The best explanation for the moon is observational error - the Moon doesn't exist." The moon is perfectly positioned to give us the type of world we live in. Is this just a cosmic coincidence? is a rarity on the Earth. that endeavor being achieved in just the last few years. great. And the Moon would be the best available source of such fuel and in great quantities. alien mining operations on the surface of the Moon. Were they mining for Helium 3? oddities and some other evidence. and seemingly endless television shows from propounding them as if they were fact, even now. ones most scientists (but not all), dismiss, or would like to dismiss out of hand. where the idea is discussed the Moon may not be what it seems to be, that it may, in fact, be hollow. may not actually be a satellite of Earth, at least not a natural one. Is the Moon the Creation of Intelligence, an article they wrote in July of 1970. 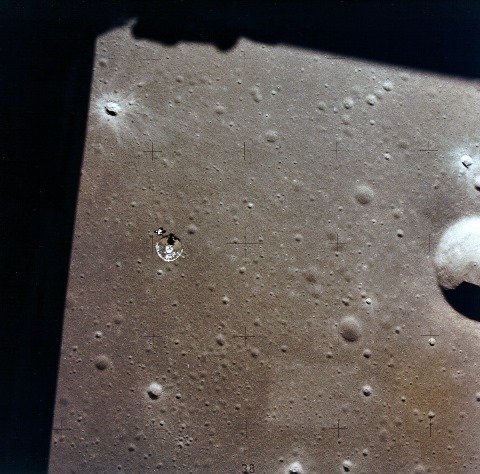 Moon molten and then removed this liquid magma by ejecting it onto the surface of the Moon. except for those large areas of solidified magma, which we see as maria today. around the Earth for reasons unknown. these scientists argued this would not be the case. The craters should be much deeper. could not have been formed as thought by meteor impacts in the way believed by most astronomers. of the Moon. However, the two Russian scientists claim this layer is only about some five miles deep. material brought back, the orange samples were highly and unaccountably wealthy in zinc content. NASA, no volcanoes, active or extinct, have ever been discovered. where did this “dust” then come? Earth), and so had a different origin. listed a series of facts he believed acted as supporting evidence for the idea of a hollow Moon. disparity. Being all recycled by now, they are simply younger. Zirconium between lunar surface samples of rocks and those of rocks on Earth. these sightings are there, NASA has coined the term of Transient Lunar Phenomena for them. What could account for so many different types of events as these on a supposedly dead world? that the Moon is hollow and may have inhabitants. all these things, these “oddities?” At present, scientists simply can’t, not in any other way. shadows. Just what is it? Nobody seems to be sure. gravity making the engineering of such structures impossible, such would be conceivable on the Moon. enhancements, shows the same thing. quality of film for such expensive missions to have so many flaws. This would seem to be unlikely. show anything of this nature. speckling, or bespattered areas or regions that one would normally associate with such an outgassing. on the order of a tall building as in, say, New York. can be found displayed on their website. removed from NASA’s main site. So one can readily see when it comes to photographic evidence there seems to be a lot of it. These photos are from Nasa's own website. has “blacked out” the higher resolution versions or removed them entirely in many cases. have no answer to this question from NASA. However, it does make one suspicious. How could it not? If there is nothing “there” to be seen, why not just post them and be done with it?